The Policy and Strategy Directorate is another core Directorate within the MTI. The directorate works closely with other directorates, Ministries, and Agencies, by providing policy advice and direction on domestic and international policy issues; leading national business reforms; project monitoring and evaluation; data analysis and business facilitation. The PSD also prepares and reviews strategic plans, policies, briefs, technical papers and presentations. Policy Development, Business Reforms and Research Unit (whichcomprises of the Policy Sub-unit, the Business Reforms Sub-unit, and the Research Sub-unit). A crucial role of thisUnit is to collect and analyze data in response to requests made by internal and external stakeholders to inform public policy and decision-making with respect to trade, business and investment. Other activities of the Unit include conducting research and advising on the potential impact of new and existing policies and trade and investment agreements. to guide policy formulation so that it is aligned to national macroeconomic, trade and investment policy objectives. tomonitor and analyze domestic, regional and international policy trends and assesses their impact on the domestic business environment. 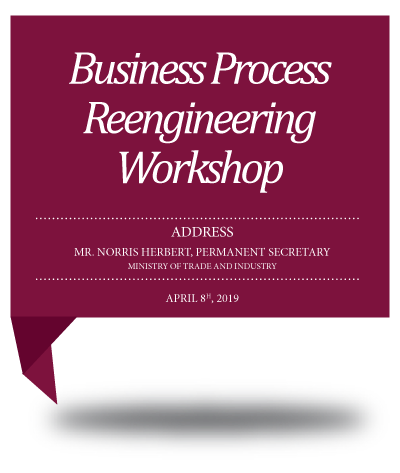 The Business Reform Unit is tasked with the responsibility of enhancing the business environment in Trinidad and Tobago by streamlining the policies procedures in doing business in the country to make them less bureaucratic, less time consuming and less costly. provides guidance to executing agencies, monitoring agencies and other entities on financial matters related to the Development Programme. The Monitoring and Evaluation (M&E) Unit was established in 2011 to support development effectiveness, accountability and transparency in the MTI operations. The Unit was established in accordance with a 2008 Cabinet mandate and the national policy agenda developed by the Ministry of Planning and Sustainable Development (MPSD) in 2011. It supports the work of the MTI by strengthening the quality of its development interventions through results-based management. to inform Government and other stakeholders on the performance of the MTI through instructive reports. preparing a report on the MTI Budget Measures for the Ministry of Finance and the Economy. The SEW operationalizes and manages the Single Electronic Window (SEW) for Trade and Business Facilitation (branded as TTBizLink). TTBizLink now provides (from end-to end) forty six (46) e-government services across twenty five (25) government departments in ten ministries. The platform is currently the largest provider of transactional e-services across the GORTT. In this regard, two thousand, one hundred and fourteen (2,114) companies and four thousand, six hundred and thirty five (4,635) individuals are utilising the platform on a regular basis. On average, the TTBizLink platform (www.ttbizlink.gov.tt) receives approximately eighteen thousand visits per month.